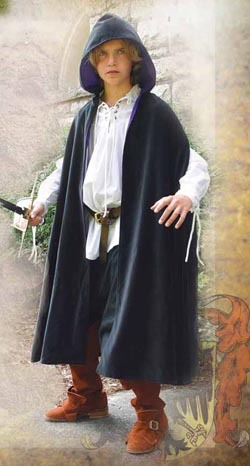 Traverse the realm wearing this dashing cape made of a heavy, black cotton velvet. The generous hood and arm slits allow for easy maneuverability, while the stunning purple rayon lining makes this a perfect accessory piece for prince or princess, alike. Dry clean only.